WHEN YOUR NAME IS GREATER THAN YOU (1) | Thoughts of a Calabarboy. 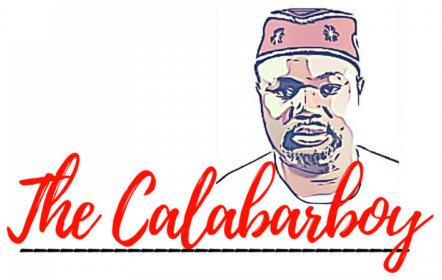 WHEN YOUR NAME IS GREATER THAN YOU (1) – Thoughts of a Calabarboy. I will start with the most recent of unfortunate happenings that have come to constantly form the strokes of the paintbrush as history creates the images of the past that our future will don. The story of Tiger Woods’ embarrassing public spectacle is by now an old gist, but it points to a critical matter at the heart of every person’s life progression. Just before December 2009, Woods was probably one of the most celebrated sportsmen in history, if not the most. Young men and women made him the symbol of a desired future, women named their new babies Tiger and academic case studies were carried out on this man. At the young age of 24, Tiger Woods had achieved a dream that men twice his age, who have been playing golf long before he was born, had never achieved. He remains the richest sportsman in the world today and his name becomes the rallying point for major golf events around the world. Indeed, time and chanced happened to have looked kindly to him. The name – Tiger Woods, like the other buzz names in various fields, represented success and greatness. Everything went on right for the young man until November 25, 2009 when the watching world suddenly discovered that their hero had to tell his tale of woe. Quickly, most of those who celebrated him began railing invectives at him and hung him on the social cross of losers. The late night guys ran continuous spoofs on him and cartoonist had their kill, all without an ear to his personal story. Not that the personal narrative would have cured the public despise, it’s just that one wonders if that shouldn’t have been the first desire of his many protégés. He is not alone in the down moment. In fact, a little peek into the lives of celebrated men and women will reveal the sheer ugliness that has etched on to their woven social fabrics. From political figures, religious leaders, entertainment stars, sportspersons, to activists, we have seen the rise and fall of many, and it seems that there is no ending to the course of the same. So with the issue of personal failure arises the dissonance that exists between the name of a person and their personality. 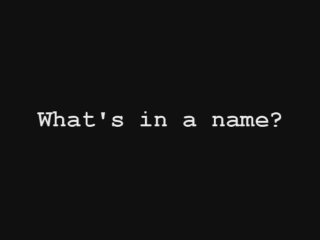 In considering this closely, we can undoubtedly conclude that there is a clear cut difference between a persons’ name and the person’s personality. While personality can enhance the value in a name, however it is the name that usually shoots beyond the necessary boundaries within which any one can safely and effectively exercise control. A name is a like a spoken word, which once released, you have little or no control on the effect it creates and on who such is impacting. Your personality remains constantly within the ambit of your influence, and remains the single most accurate description of who you really are. But the trouble is that it is not as mobile as your name. So we run into the position where our name far outstrips our personality on the popularity rankings and we barely can determine the how far off our names will scurry as we seek to ‘make it’ in life. So we find that it is very possible for your name to become great and much celebrated without precise pointers to your personality. Most of those who celebrate your name barely know your person and could care less about it. As far as you can be associated with some feat or continuous highfalutin actions that grease their desire for social pleasure, they will bother not on who you really are. Sadly, names aren’t written on foreheads, neither do they come with an innate fragrance to diffuse anywhere one goes. They take on an assumed personality in the minds of the hearer, particularly when fed by the ever spreading influence of media channels. Therefore most of those with celebrated names in history have had to deal with the basic challenge of matching the success of their names with the strength of their personality or character. The public humiliation often arises when suddenly the name doesn’t match the personality in the public eye. Therein lays the fact that your name can be greater than your personality, and this will often lead to a downfall if not well managed.